Mt. Fuji is located 100 km (60 miles) west away from Tokyo. It takes two hours drive usually if the traffic is smooth. We have some points to enjoy the view of Mt. Fuji actually but for tourists there are two spots in terms of convenient transportation. One is Lake Kawaguchi side. The most popular way to get there is by bus. It starts from Shinjuku highway bus terminal called Busta to Lake Kawaguchi station. This costs 1,750 yen per head. If you take a bus at 7:35 then you will be there at 9:30. After getting off the bus from Shinjuku, you can take a local circle bus to Kachikachi yama rope-way station as folloing link. After that, you can explore the area by bus as well. Another way to Lake Kawaguchi station is riding JR train from Shinjuku. It takes two hours and half with 2,460 yen per head. 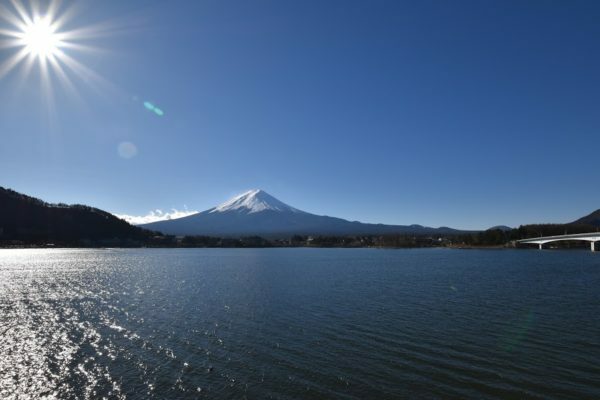 Lake Kawaguchi is located north part of Mt. Fuji and ususally you can enjoy better view of it than that of south. You can go to Gotemba premium outet mall by bus as well. It takes 1.5 hours with the cost of 1,500 yen. The way to back to Tokyo is taking a bus from Outlet mall to Shinjuku costing 1,650 yen. Budget for transportaion by yen per head.